In Part I of this essay we briefly survey of the state of the Catholic Church prior to, during, and after the Second Vatican Council and explore the use of the term “Cultural Genocide” to describe the destruction of a distinct international Catholic culture that once existed throughout the world. 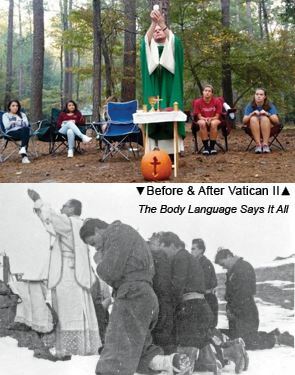 Prior to the Second Vatican Council (Vatican II – 1962-1965) that culture was characterized by prayer in a universal language, a common liturgy and liturgical calendar, and common beliefs that transcended national borders. Although it still exists to this date in diminished form under the title “Traditional Catholicism,” it was nearly eliminated altogether in the aftermath of this council, a period which has featured a prolonged suppression of this distinct culture, its associated prayer language, and its practices. This discussion does not include the Eastern Rites. The first component (a) of this definition was addressed in Part I. The remaining components are now addressed. vocations to the all-male Catholic priesthood today? Throughout the period from 1965 to the present it has become increasingly well-known and understood that the imposition of the new rite caused a collapse of vocations. There is no longer any serious debate this point . In the drive to repeal the old rite, the role of the seminary shifted from formation and sanctification to one of “managing change.” Those in positions of authority refused to ordain young men who were predisposed to traditional Catholic thinking, liturgy or doctrine, and often such men were removed from the seminaries as soon as they were discovered. It is well documented that this became the norm after Vatican II. A set of case studies is found in Good Bye, Good Men,  written by and about potential seminarians who were not even necessarily considered “traditional” from the point of view of having a goal of restoration of the traditional rite; they were just normal young men who adhered to traditional teachings. The immoral conditions in some of the seminaries played a major role in the loss of vocations during the aftermath of Vatican II; this has been well covered in the news media lately, but it has been a secondary result that came later as the mission of the seminary shifted. The result of this post-conciliar loss of clergy, as well as the loss of religious sisters, brothers, nuns, and entire religious orders, has been the selling off of properties (churches, schools, etc.) which had been purchased by previous generations of Catholics at great sacrifice. Figure 1 shows the growing number of Catholic churches without a resident priest in the USA. Figure 2 shows the increasingly low ratio of priests to laity. Those in positions of authority, whether rectors of seminaries, bishops, or anyone in pastoral care of future priests, who denied zealous young people the vocations to which they had been called, are culpable, on this point, of dispossessing Catholics of their “lands, territories and resources.” Since this loss of vocations and property is a direct consequence of the manner in which the Church leadership chose, and continues to choose, to implement the Second Vatican Council, bishops and clergy of the Roman Rite since 1970 are directly responsible to the extent that their actions have resulted in this loss. Aside from the loss of property, the forbidding of the traditional Mass and the imposition of an alien rite, in and of itself, is an act in which Catholics are being dispossessed of their resources. They are deprived of the edifices of the Church, which are not allowed to be used for their intended purposes. Those who sought to eliminate access to the old rite were so determined that in some cases, for example, after Ecclesia Dei (1988), thousands of signatures were not enough to result in a single instance of the old rite in an entire diocese. This was the case in the Diocese of Arlington, VA through 1990’s. To those committed to purging the world of traditional Catholicism after Vatican II, the primary obstacle was bishops who were either tradition-minded by nature or committed to saving souls (and therefore willing to provide a place for tradition-minded priests and laity in their care). 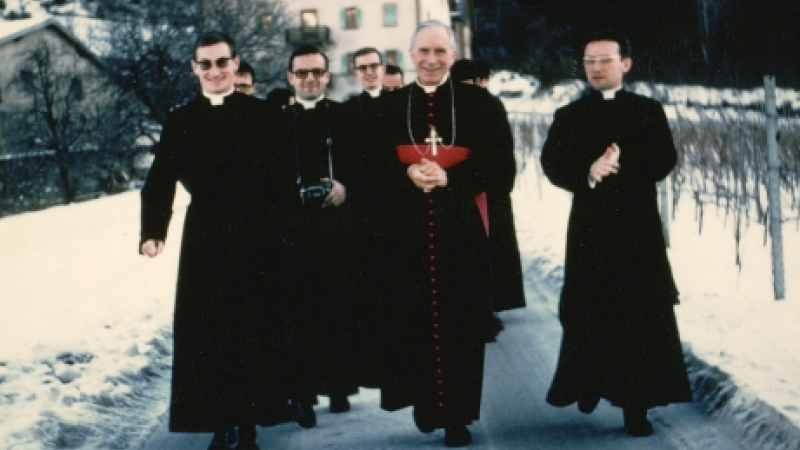 In the immediate aftermath of Vatican II, French seminarians whose desire was to be priests like the ones they had known growing up approached retired Archbishop Marcel Lefebvre (See Photo to Left) and asked him for assistance. The rest of the story of the founding of the SSPX is well documented, although the mainstream version of it is highly distorted. It is important to note, however, the astonishing difference with which discipline was invoked in the case of Archbishop Marcel Lefebvre and in the other well-documented cases of pederasts using the seminaries for their perverse personal pleasure. This double standard only makes sense if the ultimate goal of those carrying out the disciplinary measures was to destroy a culture, a civilization, and a way of life. The old rite had to be suppressed, and to do so this Archbishop LeFebvre had to be removed at any cost. The continuation of the old rite is only possible with bishops to ordain priests who know, understand and live their spiritual patrimony. Now that the excommunications have been lifted and it is clear that every priest has a right to offer Mass in the old rite, one would think that the case is resolved. Not at all; in fact, a priest who asserts his rights on this point is still subject to disciplinary or administrative proceedings for some other reason. Since 2013, many bishops sympathetic to Summorum Pontificum have been removed. As for the SSPX, the chapels, seminaries, and everything else under the society founded by Absp. LeFebvre, they all remain in a nebulous canonical status. Nevertheless, they stand as a reminder of the Catholic civilization that once existed universally and continues to exist, held together to a great extent by people who have been dispossessed of their parishes. Responsibility for the purge of the priesthood, as well as the resulting schism, rests on the shoulders of the postconciliar popes and the bishops since 1971 to the extent that they participated in it. Even ten years after Summorum Pontificum, many who know and understand the seriousness of the current crisis in the Church have no choice but to either move or to make long commutes to a distant “Latin Mass Community.” This is a form of population transfer. In order to have access to their liturgical and cultural heritage, those unable to convince a hostile bishop of the need for preserving Catholic tradition in a church within a reasonable distance are forced into this decision. The choice is between “population transfer” and “forced assimilation,” which is to be addressed in the next section. Prior to Summorum Pontificum (2007), bishops often boldly responded to petitioners with a suggestion to “move somewhere else.” Now that they are required under the provisions of Summorum Pontificum to at least make some provision to these petitioners, this requirement is satisfied by herding the traditional Catholics into an unsafe or inconvenient location where the diocesan approved Latin Mass can be found. Then, at some point the priest who is making the traditional Mass available is transferred and replaced by one who refuses to have anything to do with it. Families must, once again, find a parish through which they can have access to their liturgical and cultural heritage. Perhaps this means moving. One could argue that such self-imposed population transfer by those with an unhealthy attachment to “the past” is voluntary, but the alternative they face is to remain and be forced to assimilate or integrate into what has become the mainstream part of the Church, abandoning Catholic tradition, culture, the entire Spiritual patrimony and ultimately Catholic doctrine. Forcing Catholics to choose between population transfer and assimilation is Cultural Genocide. For those engaged in Cultural Genocide, to impose an alien rite upon the faithful and at the same time disallow their culture and way of life within diocesan or parish life is not enough; the young people must be removed from their parents and re-educated. To give a recent example, following the publication of Summorum Pontificum (2007) a group of Catholics who had been driving a long distance to attend Mass decided to petition for the use of a nearby parish church that had no traditional Mass. 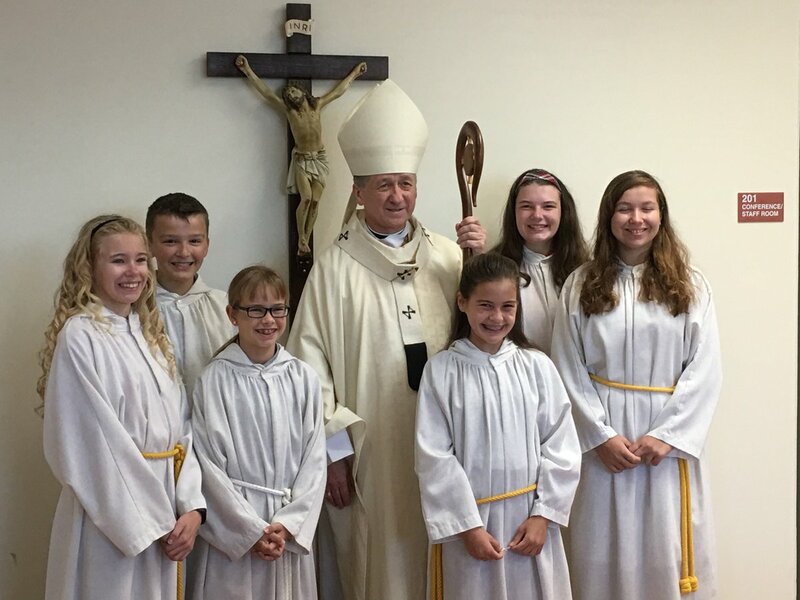 In order to have a bi-monthly traditional Mass, one of the numerous requirements placed on the group was that the children would be required to attend religious education classes taught by people who had openly expressed hostility to the traditional Mass. Of course they did not subject their children to these classes, and after a short period of time, this was used as a reason to terminate the Mass. At that point the group resumed their long commutes. Forced assimilation typically includes steps such as this to ensure that the only alternatives for parish life and parish schools are something that their Catholic ancestors would not have even recognized as being Catholic. Again, the decision that heads of families ultimately must make is to either accept forced assimilation or voluntarily displace themselves and their families (“population transfer”). In the example cited above, students from a nearby college had begun regularly attending the traditional Mass. Some were seeing it for the first time. To those engaged in a war against Catholic heritage it became a matter of urgency to terminate the bi-monthly Mass before too many students learned about what was being hidden from them. The forbidding of the traditional rite to servicemen is a particularly egregious example of forced assimilation. By Department of Defence policy, the use of military chapels for prayer is extended to any group, whether they are Christian or not. Despite outward expressions of openness to the needs of military personnel, great effort has been exerted to ensure that there is no presence of a Tridentine Mass in military chapels. At this time there is none anywhere, worldwide. The persistent denial of this resource (military chapels) to Catholic servicemen is well documented in  and subsequently in . It should be noted that the Archdiocese for Military Services has complete autonomy on this question, and has chosen the course of action they have taken without any pressure from the Department of Defence or those legislators who exercise oversight for military affairs. In other words, any religious group is allowed to use military chapels except for those who choose to pray as, for example, the Catholic soldiers who participated in the Normandy invasion. 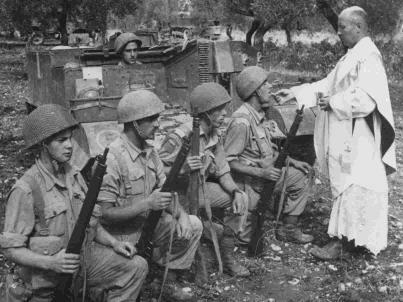 You are welcome to serve in the United States Army, Navy, Air Force or Marines, if you are qualified, but you may not invite a priest of the Fraternity of Saint Peter to offer Mass in the chapel at your installation even though a number of these priests are veterans. This is forced assimilation. Summorum Pontificum made it clear that any priest has a right to offer Mass in the old Rite, and that any group of faithful have a right to request it. Universae Ecclesiae made it clear that that such requests must be taken seriously. Despite these long-awaited instructions, numerous communities based on the old Rite have ceased to exist during the pontificate of Pope Francis. Entire orders, such as the Franciscan Friars of the Immaculate  had this basic right taken away, and bishops who were sympathetic to Summorum Pontificum / Universae Ecclesiae were sacked, as previously mentioned. This is forced assimilation. The disallowing of young men pre-disposed to Catholic tradition to enter the seminaries, or discouraging them from doing so, or dismissing them was addressed previously. It should be considered again as an act of forced assimilation, but one that has caused infinite damage. Clearly the effort to remodel the Church by turning young men against their past has failed. There has been a widespread loss of appeal to young men; seminary enrolment has plummeted, and it continues to fall for good reasons. Young men are unwilling to commit their lives in the service of a Church whose liturgy and doctrines can be changed on a whim. If such things are ever-evolving, what is it that they are committing to? In a few years it could evolve into something they find absolutely abhorrent. 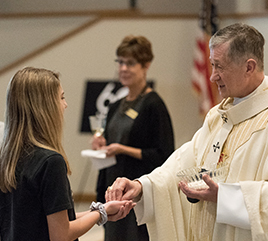 The vicious cycle continues; forced assimilation has led to a shortage of priests; this same shortage is frequently used as the rationale for the denial of petitions for the traditional Mass, the loss of which is at the very heart of the problem. Now that Catholic culture, practices, devotions, and language have been largely abolished, this particular propaganda campaign seems to have the goal of breaking down resistance to altering Catholic doctrine. The loss of a way of life can take place through gradual, natural processes; history provides us with many examples. Modernity, in particular technological advances, can quickly bring about the end of a way of life. Some will argue that this is what has happened with traditional Catholicism. On the other hand, the elimination of a way of life can be forced on a group of people in an act of Cultural Genocide. To determine whether or not a way of life was lost through natural processes, we can ask a simple question: was coercion used? Or did something else, such as advances in technology or some modern circumstances demand or bring about the change? Clearly it has been forced, and equally clearly modern technology has prevented an outright extinction of traditional Catholicism. Were it not for the indispensable means of organizing and distributing information provided by digital media, any vestiges of preconciliar Catholic life would, quite possibly, have ceased altogether to exist by now. Many Catholics now happily living with pre-conciliar Catholicism would never have found out about it were it not for the numerous blogs and social media, often used effectively to counter the propaganda of the perpetrators. It is not by chance that the regions of the world in which the old rite has been best preserved are those in which people have been free in recent years to use technology for information sharing. In the immediate aftermath of Vatican II most Catholics, clergy and laity alike, eagerly followed along in the destruction, including many who now regret it. Well-meaning people can be duped into the destruction of their own civilization; history is full of examples. What were the motives of these popes and bishops that led the effort? Were they responding to some external forces that mandated the actions they took, or were they willing participants? Were they ignorant or foolish? The implications are difficult to bear. People are, hopefully, uncomfortable with the possibility that they have unwittingly played some role in the attempted purge of a way of life. Given that the destructive act was never completely accomplished, preconceived notions should be put aside, and one should step back and look at the situation as an impartial outsider, a mere spectator, or from the point of view of a future historian. The status of the old rite has been clarified. It is well known that the suppression of the Tridentine Mass was brought about by bishops and popes, and that traditional Catholicism only began to re-emerge on any large scale after the 2007 landmark decree by Pope Benedict XVI. What is the right thing to do right now? Along with the clarification of the status of the old rite that we find in Summorum Pontificum, it is necessary that we use clear and accurate terms, so that those in positions of responsibility may understand the gravity of their actions and the grave judgement they will undergo. When you encounter Cultural Genocide, call it what it is. Article 7, United Nations Draft Declaration on the Rights of Indigenous Peoples (26 August 1994). https://en.wikipedia.org/wiki/Cultural_genocide Examples cited in literature include the suppression of native languages during the Japanese occupation of Korea and the German occupation of Poland. “The Priest Shortage: A Manufactured Crisis?” www.christendomrestoration.org, January 2015. Good-bye, Good Men: How Liberals Brought Corruption into the Catholic Church, by Michael S. Rose. Barnes & Noble, 2002. Center for Applied Research in the Apostolate (cara.georgetown.edu).